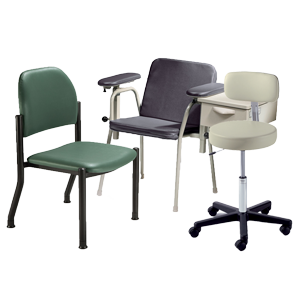 Midmark offers a full line of manual exam tables as well as barrier-free power exam tables to suit any exam room. Designed to break down the barriers of your exam room and open your practice up to patients of all types, your patients comfort is ensured when you choose Midmark and Ritter Exam Tables. CME is proud to offer free delivery on Midmark’s complete line of autoclaves and ultrasonic cleaners. Ritter Ultraclaves feature automatic doors to ensure that your instruments stay sterile. 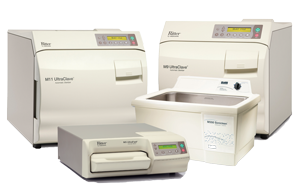 Have a Ritter Autoclave delivered to your office at no extra cost! Take a step forward and outfit your practice with Midmark's Digital Diagnostic System. Midmark's IQ Digital Diagnostics System is a state-of-the-art combination of devices and software solutions that make it fast and easy to capture, interpret, and store patient information. All Midmark IQ products ship at no extra cost! Midmark and HEINE combine exclusive, best-in-class technologies with over 70 years of manufacturing expertise to bring you high-quality, German-engineered primary diagnostic instruments designed to improve diagnosis and patient care. 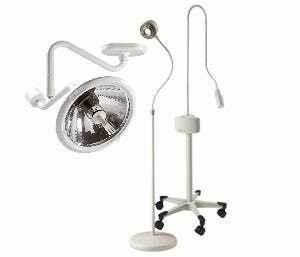 You need medical lighting that is not only safe and easy to use, but is also energy efficient and focused. Midmark's lighting products will cast a brilliant white light on your procedures while remaining cool to the touch. 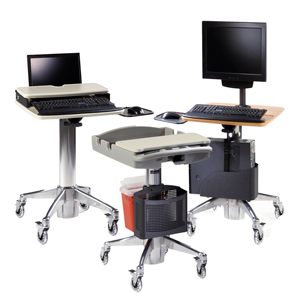 Toss aside that clipboard and bring your computer with you with Midmark Care Exchange™ Workstations. Improve the efficiency of your workflow by having your PC with you at the point of care. CME is proud to offer free shipping on all Midmark Workstations. Everybody deserves comfort, which is why Midmark's various seating options are not only functional, but luxurious. Midmark Physician Stool's are the perfect addition to your exam suite; while the Ritter Surgeon Stools are perfect for surgical procedures. We carry Midmark Seating for every situation, and best of all: we offer free shipping on all Midmark Seating. 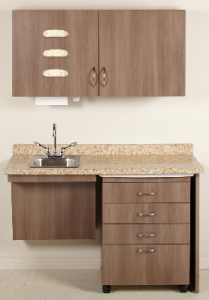 Thanks to the modular nature of Midmark Casework, your exam room can be outfitted with countless combinations of Midmark Cabinetry. Midmark Casework is durable, sustainable, and elegant. Midmark Casework comes in a multitude of colors to match your exam suite. Midmark Clinical Solutions is helping you redefine the clinical space layout in medical facilities for more efficient patient care. Want to read more about exam room workflow solutions by Midmark? Take a look at Midmark's Point of Care Ecosystem eBook, below. 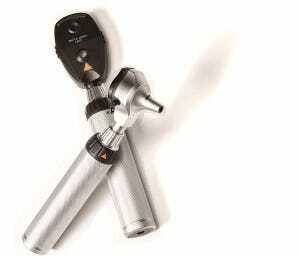 Midmark is one of the most widely known manufacturers and distributors of medical equipment. Midmark products can be found in medical offices, dental practices and veterinary clinics worldwide. 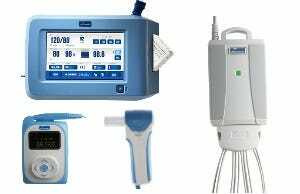 Claflin Medical Equipment is proud to offer our loyal customers a wide range of Midmark healthcare, diagnostic and hospital equipment. Having forged a longstanding working relationship with Midmark, we are able to offer a range of the company’s most popular medical equipment and medical supplies with the best online prices. Our Midmark product categories include everything from ECG and EKG machines, to exam lights, to medical examination tables. Searching for your favorite Midmark medical products is easy and painless with our dedicated Midmark page. Simply look to the column on the left-hand side of the screen and you will be able to choose from all of our in stock Midmark product categories. These include: accessories, autoclaves, carts, casework, ECG, exam tables, monitors, lighting, seating, spirometers, stress tests systems, ultrasonic cleaners, vital stations and workstations. Because we know you are busy tending to patients, we’ve made our site is easy to search so you will find exactly what you are looking for in the most direct way. You can choose to search the Midmark pages by price range, shipping method, UOM, Upholstery type or capacity. While most Midmark medical products, including exam tables, ship free, make sure to ask us about our White-Glove Delivery option that will place the exam table directly into your examination room. At Claflin Medical we have put our trust in Midmark as a leading medical equipment supplier. Like us, Midmark has been a long history providing for the needs of healthcare professionals. The company was founded in 1915 in the United States and has expanded over the years to serve clients internationally. Our Midmark catalog reflects some of the latest, most innovative medical equipment used in the healthcare field today. As a healthcare provider, your patients expect only the best. Make sure you put your best foot forward by including high quality, cutting edge Midmark medical supplies in your office. Comparing our catalog of Midmark products is easy. Just find the product you are interested in and click on the brown button that says compare located below the photo of the item. Then, find the item that you want to compare it to. A separate pop-up window will show you a side-by-side break down comparing the products. Our website also allows you to save an item in your wish list so you can come back and find it later. 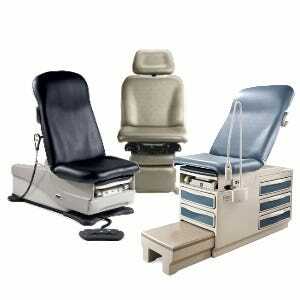 Choose Claflin Medical to provide all of your Midmark medical equipment products, services and maintenance needs.